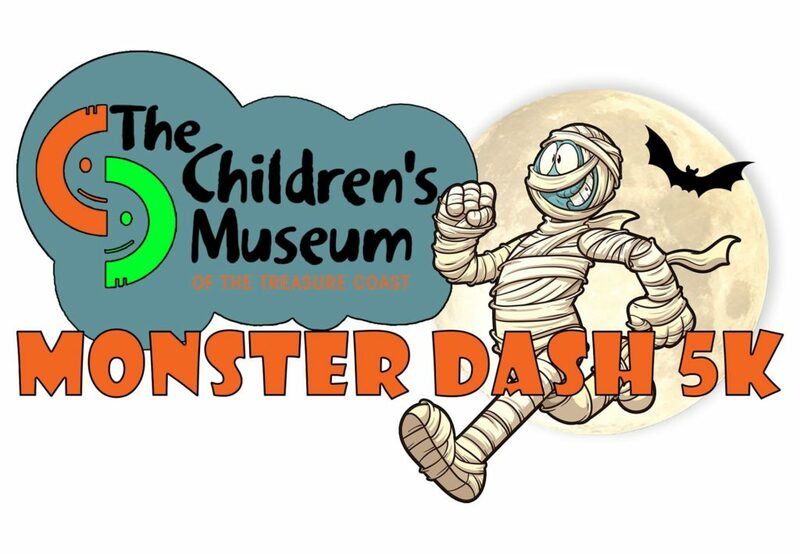 On Friday, October 27th The Children’s Museum of the Treasure Coast is taking to the streets of Jensen Beach again for its 2nd annual Monster Dash 5K! The Race will begin at 6:30PM and all ages are welcome to race. Registration is open on RunSignUp.com search “Monster Dash 5K at TCM” to register online. Monster Dashers and Spooky Sprinters can also register in house at The Children’s Museum or in store at Fleet Feet in Stuart. With Mike Melton, from MCM Timing, guiding the race it’s sure to be a great time. The Museum will be open for non-racers and the evening will include bounce houses, food trucks and plenty of Halloween family fun. The night will end with awards and prizes. Sponsorships are available starting at $100. Contact the museum with any questions or visit the Museums website for more information on the Monster Dash 5K!